Instant Pot Mac and Cheese is creamy, cheesy, and delicious. This pressure cooker mac and cheese recipe is easy to make, and fast! 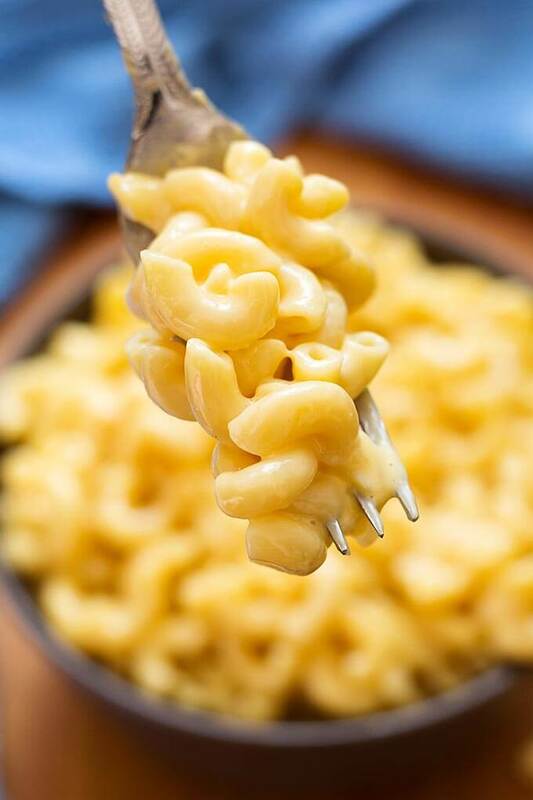 Macaroni and cheese is one of the major comfort foods. For all the homemade meals I ate as a kid, I never had homemade mac and cheese until I was a teenager. Mrs. Baker, from our church, made some for us and it was amazing! It tasted way different than the kind we made from the box! I have used her recipe now for many years, and have been quite happy with it. It involves a roux, and lots of stirring on the stove, but it’s not that difficult. When I bought my Instant Pot over 2 years ago, I was intending to just cook meats in it! Lol, little did I know! I try all kinds of things in this awesome electric pressure cooker! Instant Pot Mac and Cheese replaced Mrs. Baker’s recipe a little over a year ago! Sorry Mrs. B! They are similar, she also used ground mustard, and good cheese that melts well, but there is no roux to make! 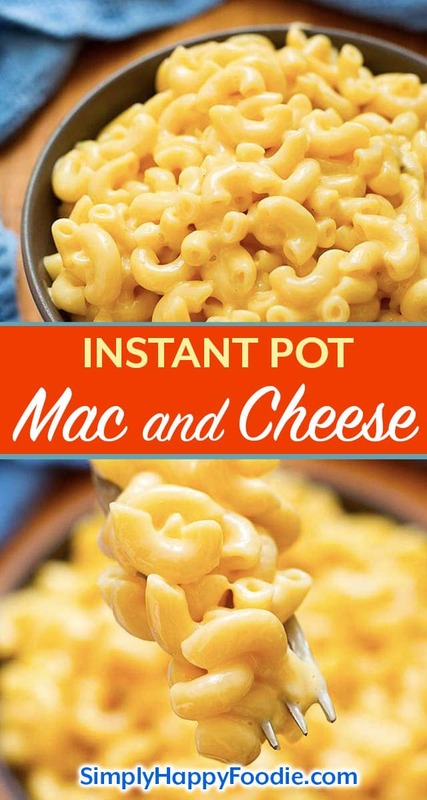 With Instant Pot Mac and Cheese, you don’t drain the pasta! The starch stays in the pot and provides all the thickening you need. If you replace the water with chicken broth, the flavor will be richer (use low sodium!). Make sure you measure your pasta. The recipe calls for 16 oz, so that will look different depending on the type of pasta you are using. 16 oz is not always 2 cups. I highly recommend a food scale, or Google the type of pasta you are using if you aren’t sure what 16 oz looks like. For the small macaroni it is about 4 cups. This is a super quick meal, and perfect for weeknights and those times when you don’t want to have to put together an elaborate meal. Just whip up some Instant Pot Mac and Cheese, and you’ll have your family running for the dinner table! Yay for the Instant Pot! 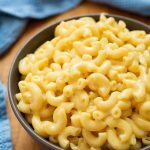 Instant Pot Mac and Cheese is simple, creamy, cheesy, and delicious. Make this fast in your electric pressure cooker, and in one pot! 1/2 - 1 cup Heavy Cream (or half and half, or 1 can evaporated milk, or whole milk) Add enough to get desired creaminess. Turn Instant Pot on Sauté mode by pressing the Sauté button. Add the water, butter, ground mustard, salt, and seasoned salt to the Instant Pot and bring to a simmer. Stir in the pasta and close the lid. Set the steam release knob to the Sealing position. Press the Manual (or Pressure Cook) button and use the + or - button to choose 4 minutes (or half of the time the pasta package directions recommends). When the cooking cycle ends, do a Quick Release of the pressure. Start slowly, using several small bursts of steam release, to make sure none of the sauce spews out with the steam (the butter usually helps keep the foam down). Then fully release the steam. When the pin in the lid drops, open the pot and give the contents a stir. You want some liquid in there, but if it looks too watery, take some out. Add the cheeses, half at a time, and stir. Let it melt before next step. Add the cream and stir until creamy and blended with the cheese. Cover and let sit for a few minutes to soak everything up. The mac and cheese thickens up as it cools. If you need to loosen it up, just add more milk as needed. Hi! I followed this recipe and yet my results are watery with clumpy cheese. Any ideas as why this may have been the case? Hi Allison, It’s hard to say, not knowing what you did/used. When the pressure cooking is finished, stir, then add the cheese and let it melt while stirring occasionally. This should eliminate any clumps as the cheese will be melted. Then stir in the milk/cream last. I have never had it come out clumpy or watery. The water to pasta ratio is 4 cups to 1lb of pasta. Make sure your ratios are correct, as some boxes of pasta are only 12oz, not 16oz. That makes a difference. Was your pasta fully cooked? That’s awesome, Emily! I’m glad you like this recipe! Hope you also like the Chili Mac! Thank you for the nice review! Have made this several times. The 1st time I followed the recipe as written. Now I make it using whatever cheese and fluid dairy I have on hand. As long as the pasta to liquid ratio and cook time are correct, it’s always good. Tonight I’m using dibs and dabs of cheese; sharp cheddar, Monterey, smoked Gouda, and a partial block of cream cheese. Quick, tasty, easy to clean up. Thank you! I just made this for the first time and it turned out fantastic! I added onion powder and substituted 1/2 cup of milk with sour cream, my kids couldn’t get enough. Also, it’s faster than Kraft on the stove top and 1K times better! Hi Rob, that’s great! Those extra seasonings really make a difference. I’m glad you and your family liked this mac and cheese recipe! Thanks for your review! So easy! I really thought that this was going to be hard but it wasn’t! I followed your instructions to the letter and mine came out creamy and so delicious! I did put in a little bit of hot sauce, and it wasn’t spicy. My kids each had second helpings, which never happens. Thank you for the recipe. Hi Rachel, how awesome! 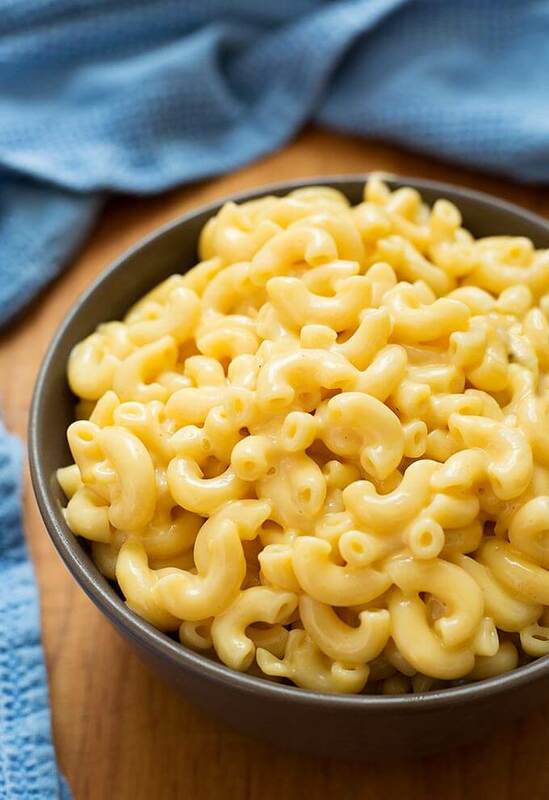 Mac and cheese is such a great food. Maybe it should be a food group! It’s so nice when the kiddos eat their food, lol! Thank you for your review! Hi Ana! I’m so glad you liked it! Thank you for your review! Sounds good! Thanks for your review. That’s great, Wendi! Thanks for your review! Made this several times now and I just felt I must tell you I found this recipe easy to follow , delicious and so quick to make in my Instapot. The blend of the three cheeses provides a mouth watering taste to this yummy dish. Thank you for sharing. Hi Jennifer! Thank you for your review, I’m happy you like my mac and cheese recipe! If you measure the liquid and the cheese it shouldn’t be too salty, unless you are sensitive to salt, as some people are. Ok, this is insane. I made it to spec pretty much only changing the cook time to 6 mins and 1/4 heavy cream. Also I used white cheddar. And no hot sauce. After taking the lid off to give the noodles a stir, it seemed like there wasn’t hardly any water in there. But after adding each cheese in order, I noticed it was a little watery. I actually prefer it that way and combined this dish with some Apple dumplings, wow! Thank you so much for the awesomeness! That’s great, Michael! I’m glad you liked this recipe! Yes, if using the 8 qt pot. If using a 6 qt, I would only do half again as much. I’m new to the IP and I have the mini. I wish recipes said what size pot they were made for so I would know how to change the amounts. That aside, I’m going to half this and try it tonight! Anyone made this with gluten free macaroni?